Just over the Illinois border lies a wonderful world of open spaces, lakefront vistas and small-town to mid-size city adventures to take the stress away and ease the mind. Begin your tour in Kenosha, now home of one of the largest Amazon distribution centers in the country. 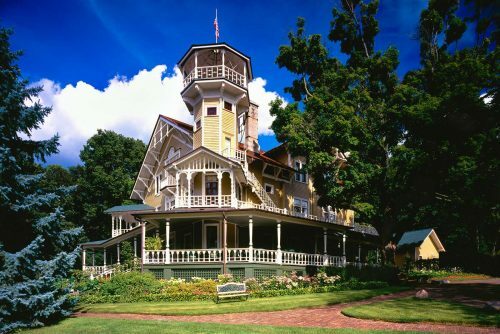 Travel back in time at one of the many museums, climb a lighthouse or ride an electric streetcar. Located between Chicago and Milwaukee is Pleasant Prairie Premium Outlets. Pick up your complimentary Savings Passport for every person on your tour and shop at designer and brand-name retail stores. Just a bean’s throw from the Outlets is the Jelly Belly Visitor Center. Climb aboard an indoor train for a tour of the warehouse and learn about the candymaking process, marvel at the sweet gallery, sample a variety of unique flavored jelly beans and take home some treats. The Civil War Museum focuses on the war that divided our nation from the Upper Middle West Union perspective. The museum offers a look back at personal stories, interactive exhibits and a 360-degree movie. Travel north along Lake Michigan to Racine. Its slogan is Real Racine for a reason—from Frank Lloyd Wright architecture to a majestic lighthouse to a contemporary craft art museum. Be sure to make time for a stop at one or more of the city’s five kringle bakeries to sample and purchase these Danish treats – the official pastry of Wisconsin. Home to the largest collection of contemporary crafts in the country, the Racine Art Museum is nationally recognized for its changing exhibits and features displays of jewelry, ceramics, fiber art, glass, metals, paper and sculptures. Wake up refreshed from the lake breezes and head west to Sturtevant to experience “The Magic of Apples” at Apple Holler. Call ahead for your customized farm tour and take time to shop for apple treats. Head west to Walworth County, a popular area for recreation, including lake sports, historic mansions, attractions, resorts and shopping. There’s a variety of choices for the adventurer to the young-at-heart, whether your group’s definition of fun is a spa experience, shopping in Lake Geneva, zip-lining through a forest or just enjoying the beaches of Williams Bay. Take a cruise on Lake Geneva Cruise Line for the true Lake Geneva experience. For the most up-close view of the lake homes of the Chicago wealthy, take the US Mailboat tour. Watching the mail delivered by a boat that pulls up to the pier but never stops is a show you’ll never forget. 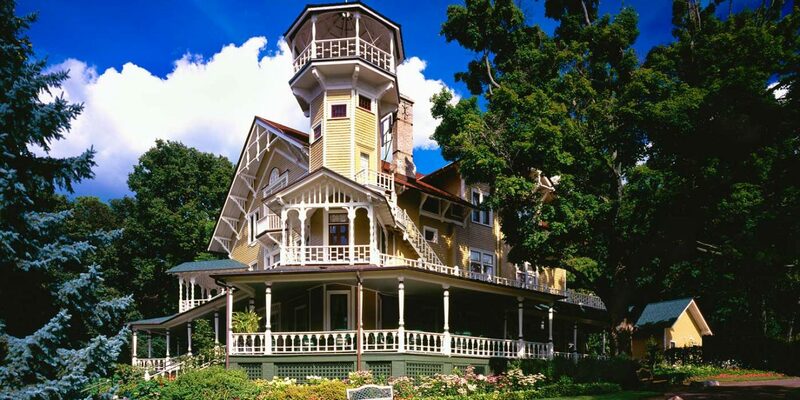 baron, is one of the finest examples of Queen Anne architecture and Victorian furnishings. Be sure to take a group photo on the veranda overlooking Geneva Lake. Tonight your group will star gaze at the Yerkes Observatory in Williams Bay. This astronomical observatory is operated by the University of Chicago and boasts the largest refectory telescope in the world. Welcome to the world of Gilded Age at the Baker House. 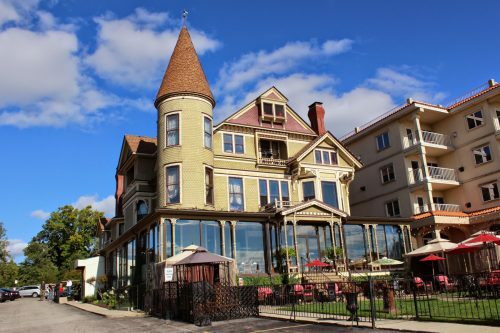 This Nationally Registered Historic Property with panoramic view of Geneva Lake will envelop your group in luxury for a tour of the mansion and Victorian tea. Treat your group to a behind-the-scenes experience at The Dancing Horses Theatre in Delavan. Enjoy lunch and the show followed by a backstage tour to see how they train the horses and have the opportunity to ask questions of the head trainer. After a brief R & R the group will be submersed in a state-of-the-art music theater at Rosewood. Enjoy themed shows, farm-to-table dining and shopping. Your hosts Mark and Gretch will entertain the group with a high-energy vocal performance. Take a trip north to Eagle to Old World Wisconsin and return to the 19th century when waves of immigrants came to America’s heartland in search of land and a better way of life. From narrated tram tours to selfguided group tours to pre-ordered lunches, this Wisconsin Historical Society treasure offers a chance for your group to journey back in time to tour recreated farmsteads and settlements.